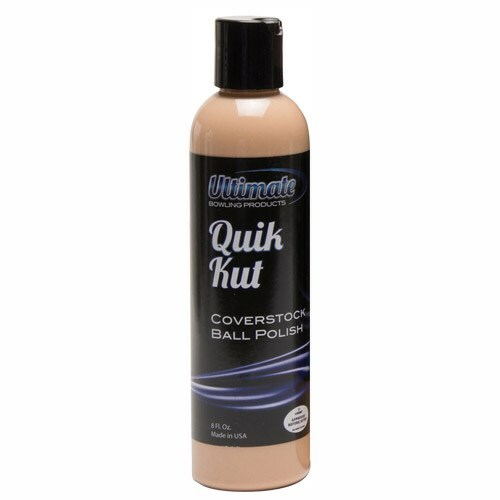 Ultimate Quik Kut & Polish 8 oz. Quik Kut is an easy to use, one-step coverstock polish equal to 500 grit sandpaper and can be used on all coverstocks to enhance the ball’s performance. Should be used on a ball spinner. Due to the time it takes to produce the Ultimate Quik Kut & Polish 8 oz. ball it will ship in immediately. We cannot ship this ball outside the United States.